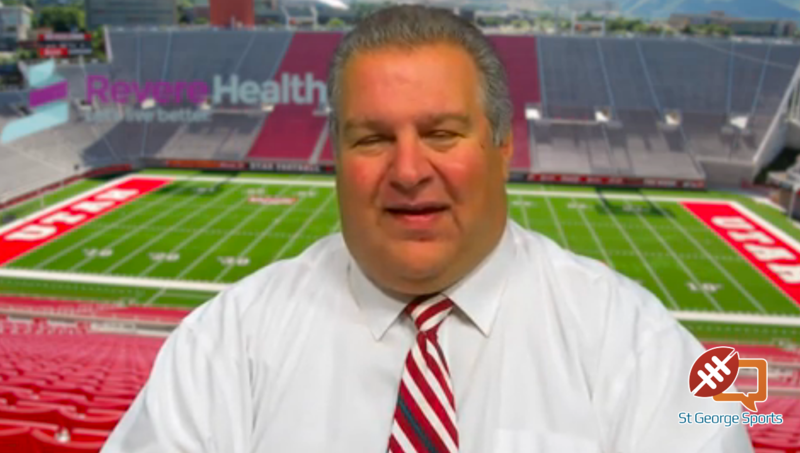 ST. GEORGE — The Region 9 football show is back with Andy Griffin bringing you highlights from Region 9 every Monday. Today’s Region 9 Football Highlight Show, brought to you by Revere Health, features all the big plays and hits from Week 2 of the prep football season, including a huge upset, some stellar defensive plays, and lots of big offensive plays by our local teams. Las Vegas at Snow Canyon, 7 p.m.
Dixie at Tooele, 7 p.m.
Cedar at North Sanpete, 7 p.m.
Timpanogas at Canyon View, 7 p.m. There was so many more highlights to the Pine View, Lehi game! Little bummed you didn’t show the 3 picks our defense made against a very high rated QB by Jakobe Turlington, Austin Peterson & Samson Doyle. All we got for a highlight was a short run for a TB by Mpungi (which even he did alot more than that)? Thank you for your comment about the fact it really felt like we won that game even though the score didn’t show it, as we all felt like that, but more highlights to a great and close game would have been nice!